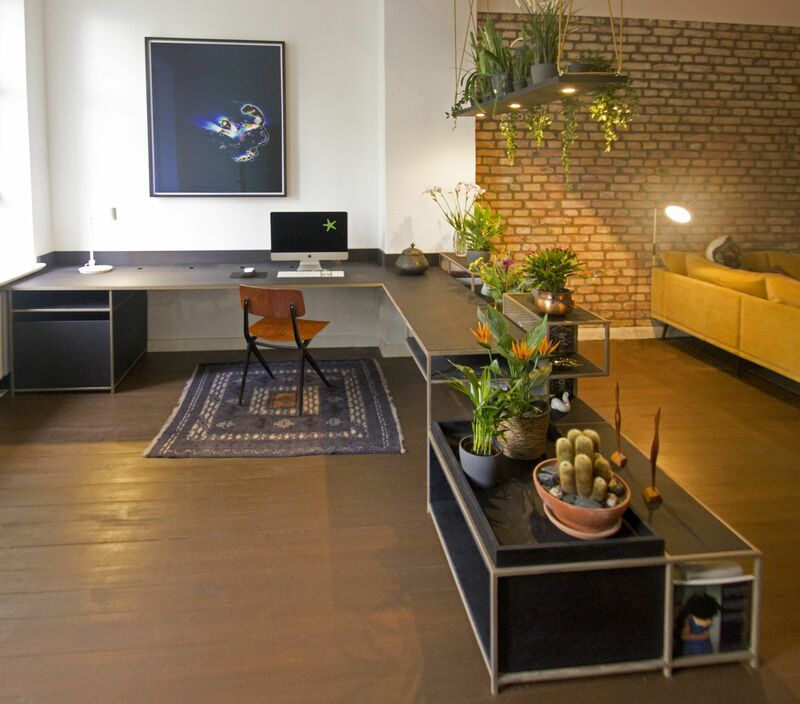 We created a workspace in a large living room that introduces plants as an additional quality. The workspace contains of a classic desk with extractable printer rack and intergrated cable duct. 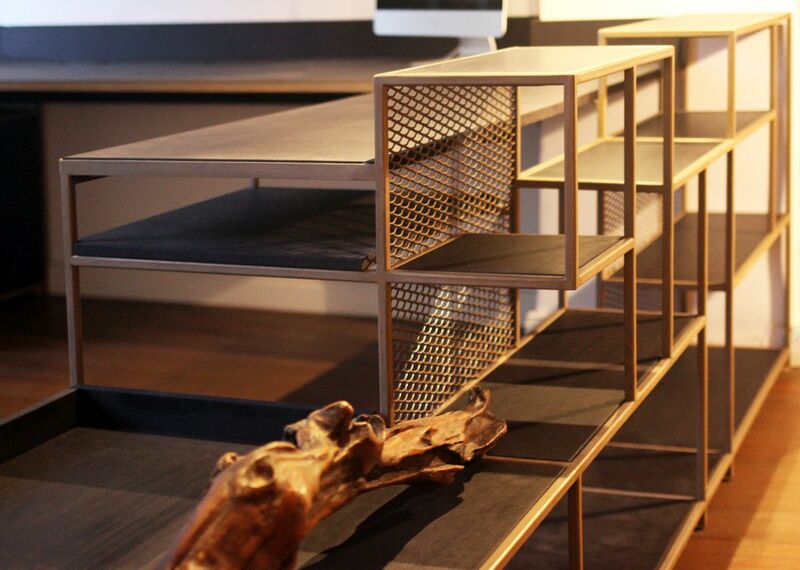 The shelf is directed to the living space. 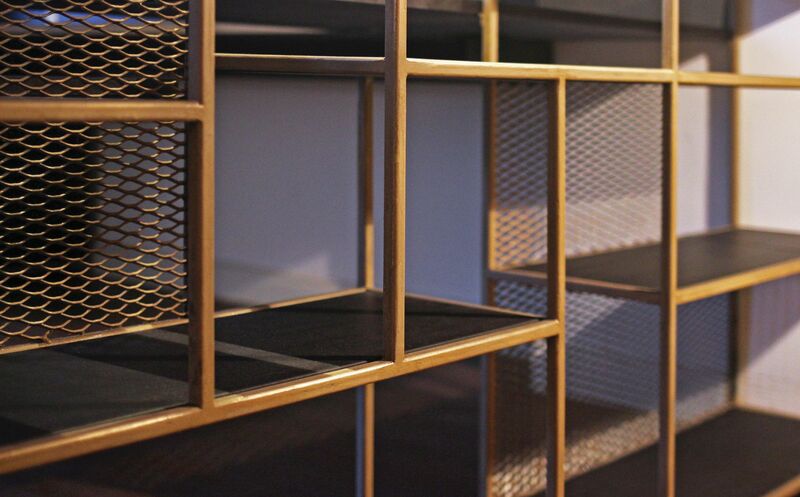 Its light and delicate structure brings order and quietens the natural chaos of objects in the shelf. 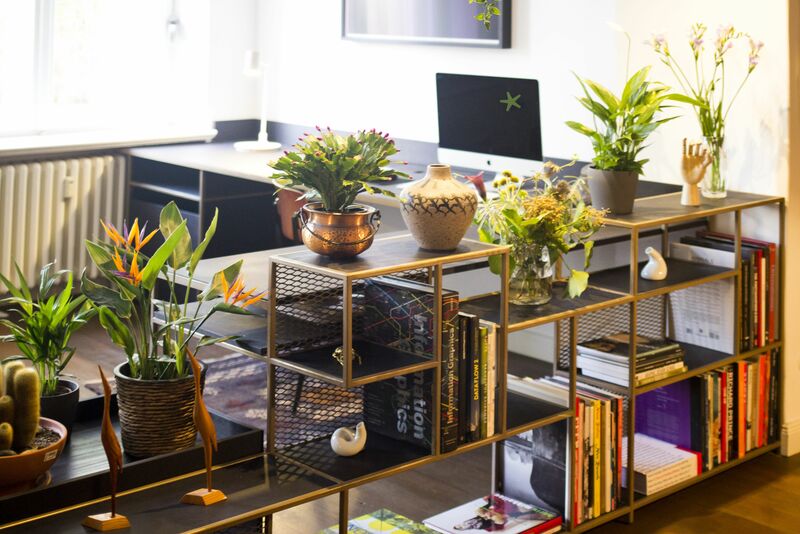 plants can be places in the cut-outs and trays. Together with the green swing, a hanging garden above, it creates a natural spatial division between work an living space. 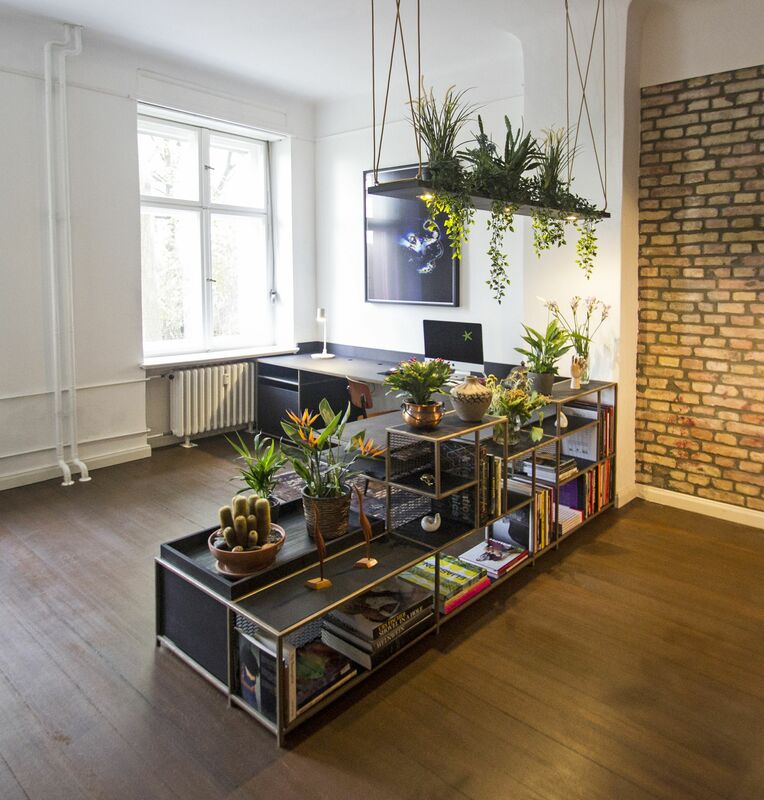 A podium at the end completes the structure and connects the shelf with the desk.